Who will be the winner of the final "Win Free Gas" contest week? You can't win if you don't play! The winner for the LDN "Win Free Gas" contest - week 9 is Angie Sanders of Lincoln!! The winner for the LDN "Win Free Gas" contest - week 10 is Cindy Pagel of Lincoln! 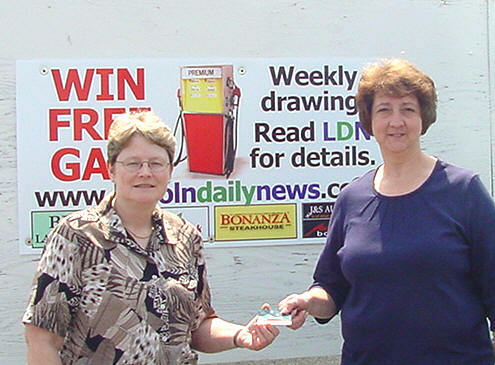 The winner for the LDN "Win Free Gas" contest - week 9 is Vickie Noel of Lincoln!! 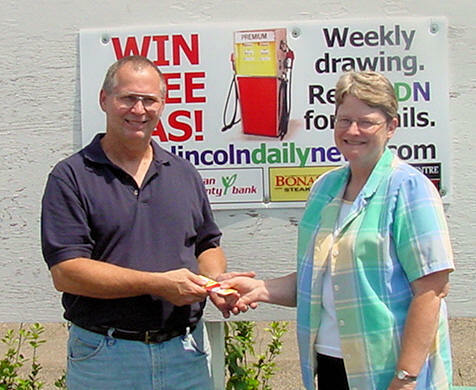 The winner for the LDN "Win Free Gas" contest - week 7 is Rod Conley of Lincoln!! The winner for the LDN "Win Free Gas" contest - week 8 is Jim Stone of Lincoln!! The winner for the LDN "Win Free Gas" contest - week 1 is Holly Shehorn of Lincoln!! The winner for the LDN "Win Free Gas" contest - week 2 is Debra Kimberlin of Lincoln!! 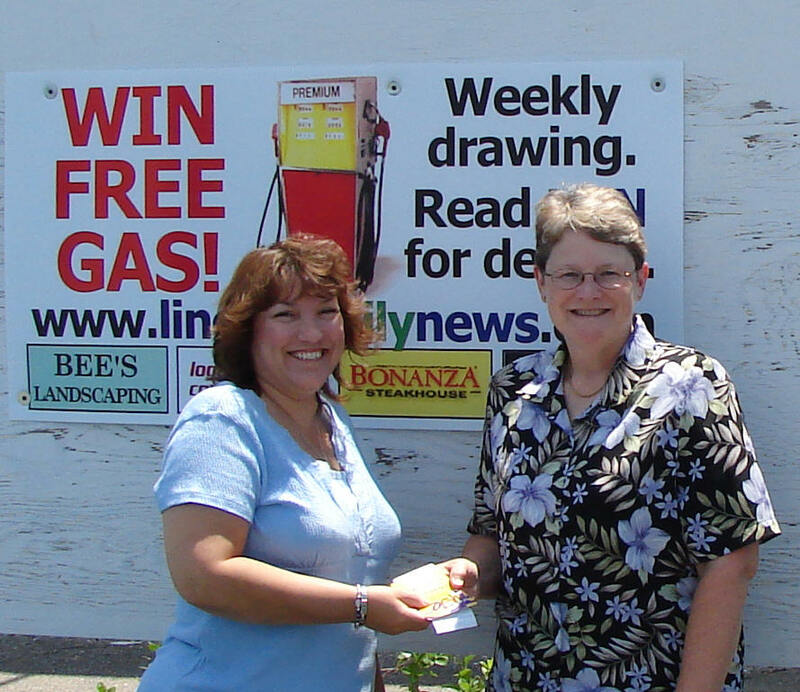 The winner for the LDN "Win Free Gas" contest - week 3 is Linda Ray of Lincoln!! The winner for the LDN "Win Free Gas" contest - week 4 is Jean Curtis of Lincoln!! The winner for the LDN "Win Free Gas" contest - week 5 is Renee Garner of Lincoln!! 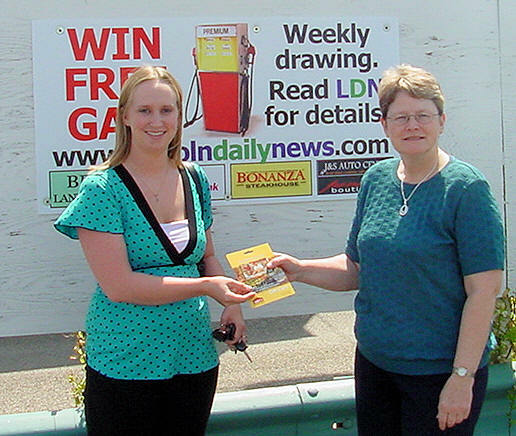 The winner for the LDN "Win Free Gas" contest - week 6 is Nancy Aper of Hartsburg!! Have you found the hidden puzzle answers yet? Check the LDN archives to catch up. Final Information about the final puzzle in the final week. Saturday - 4 answers. 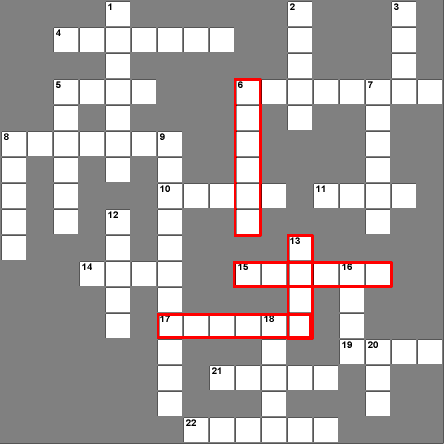 The locations of those answers are highlighted in the puzzle to the left. BTW -- if you are wondering where this list of ecclectic words were chosen from -- we chose them from last week's headlines and LDN articles. Please tell your friends about the contest! You can't win if you don't play.